The TV in the third panel is a little creepy, isn't it? 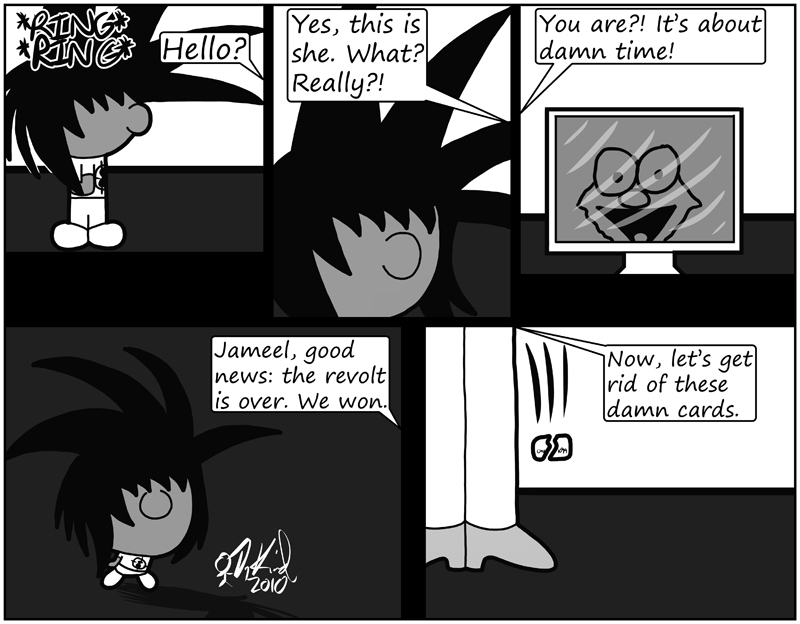 The fourth panel is supposed to be an overhead shot, with Jameel looking up toward his mom. I rarely try to do something like that, so I'm not sure how well I pulled it off.